Launch’em At Patriots Point | Yorktown Aviator's Blog - "Call The Ball!" 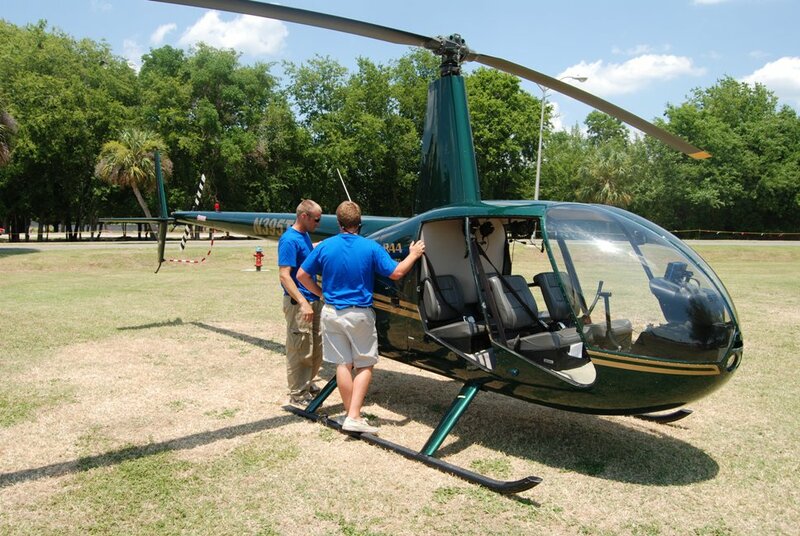 Pilots preflight helicopter in preparation for rides at Patriots Point. 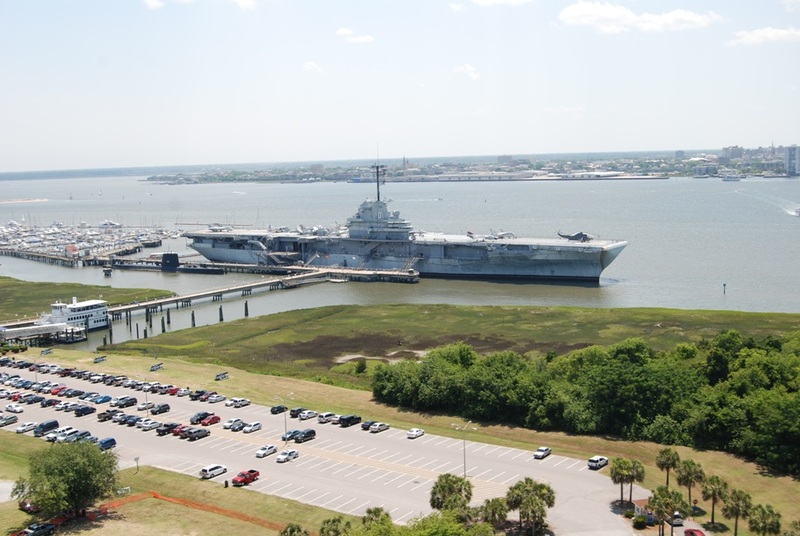 While flight operations have long since ceased from the flight deck of the “Fighting Lady,” weekends at Patriots Point now find visitors with the option of taking a short (5-10 minute) helicopter flight over USS Yorktown and Charleston Harbor. 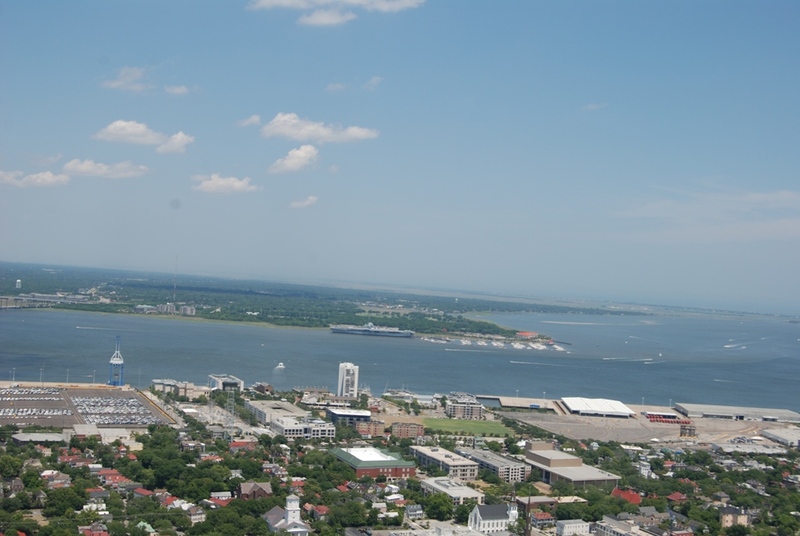 If you have never been up in a light aircraft or helicopter over Charleston Harbor (and I bet few have…), it is well worth the charge to see one of the most beautiful harbors in the world from 800 feet at slow speeds. 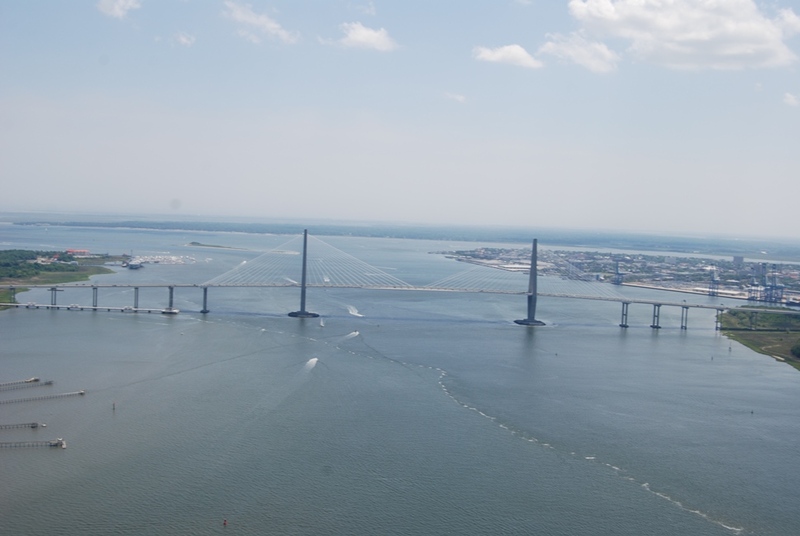 The sea islands, the harbor entrance, Fort Sumter, Fort Johnson, Castle Pinckney, downtown Charleston and more…Watch the videos below and check out the still shots…I’ll bet you will be interested in making this a highlight of your trip to Charleston…ever wonder why folks in Hawaii and the Grand Canyon opt for the same experience? 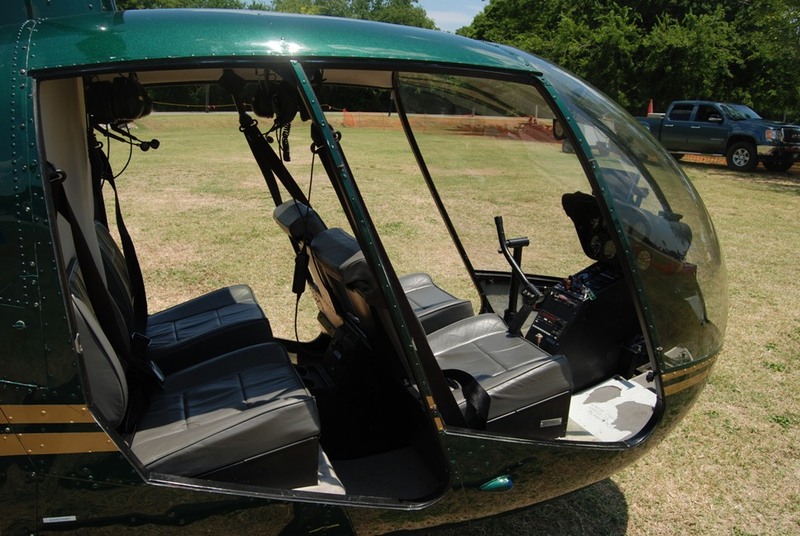 View of the helicopter interior, room for pilot and three passengers. 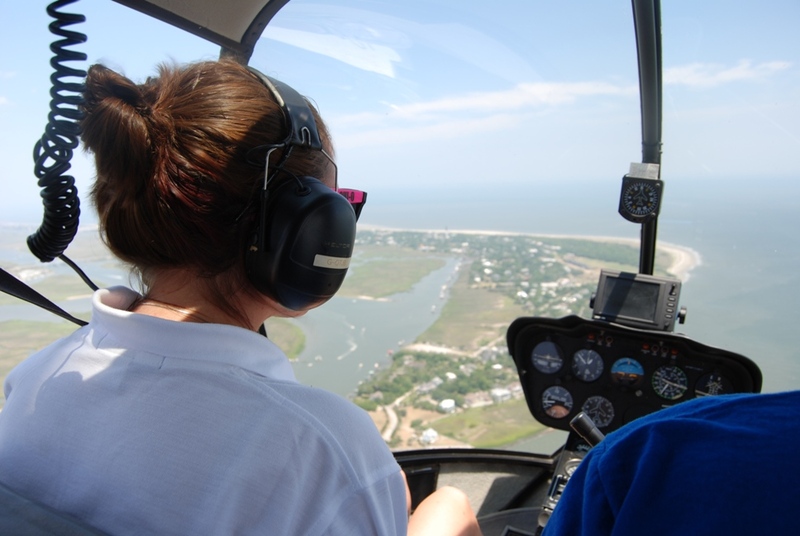 Passenger pilot in front, Sullivan's Island and Fort Moultrie in view as the helicopter approaches the entrance to the harbor. Looking across Charleston to USS Yorktown at Patriots Point. Looking up the Cooper River with the new bridge, Patriots Point on left and Charleston on the right. On the landing approach looking at the Fighting Lady from 250 feet altitude. For more info you can call our ticket office at 843.884.2727. What tremendous videos and what a great adventure for all the veterans and folks who will be attending USS Yorktown Reunion, Oct 12-15, 2011! Assn discount?? ?